Award-winning chef, Michelin-starred restaurateur, hotelier and author, Charlie Palmer is renowned for his farm-fresh Progressive American cuisine. Spearheading The Knickerbockers entire culinary program, he has created the hotels signature Honest American Cuisine inspired by the same principles. With over three decades of experience, he is regarded as one of the first adapters of the farm over factory food philosophy, an approach that has earned the success of his hospitality group empire which currently includes restaurants, boutique hotels, and food-forward wine shops throughout the U.S. 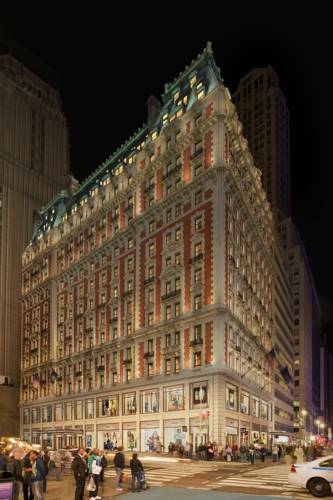 Built in 1906 by John Jacob Astor IV, scion of one of Americas wealthiest families, The Knickerbocker played host to the worlds biggest names in entertainment, politics, culture and high society in the earliest years of the 20th century. Its iconic Beaux-Arts design, glamorous European luxury, and welcoming American hospitality made it the place to be for glitterati and dignitaries, while its legendary barroom became known as The 42nd Street Country Club.